Washington state car insurance laws provide a platform for you to be able to pay for damages or injuries following a car accident. 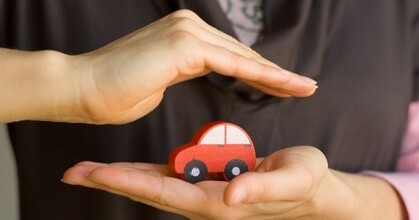 Read and learn more about Washington car insurance laws, rates, programs and discounts. $50,000 total for death or injuries per accident. Comprehensive – Covers non-collision related damages to your car, i.e. those resulting from theft or vandalism. Underinsured/ Uninsured motorist – Pays for your own injuries or damages to property when you’re involved in a car accident driven by a driver whose insurance is insufficient to cover your costs or simply uninsured driver. PIP will help pay: Loss of income Medical costs Funeral expenses. Though you’re not required to carry PIP in Washington, the car insurance companies are ought to offer PIP to you. Every time you buy a new policy or renew your policy, you’ll be issued an insurance card. So, be sure to carry your most current card with you. You’ll be subjected to a fine if you’re caught without your proof of insurance. But if you did have a valid insurance policy during a traffic stop but you didn’t show it to the policy, you might have to show it before the court and have your charges removed; though, you’ll have to pay $25 for court proceedings. If you are found guilty of driving without car insurance, you’ll have to pay a minimum of $450. Finding car insurance companies for drivers considered high-risk due to past traffic violations or accidents may be difficult because companies may fear to cover them. They’ll have to take extra steps to comply with Washington auto insurance laws. Though it’s a right for drivers to be Insured, Washington car insurance companies do also have a right not to insure drivers considered to be high-risk. If you have difficulties in finding car insurance carrier, you need to apply for coverage via Washington auto insurance plan. Through this plan, Washington car insurance companies share all the risks of covering drivers considered high-risk. If you drove or owned a car involved in an accident. Generally, you must maintain your SR-22 filing for a period of 3 years. Most of insurance providers file SR-22s for their clients; but there are others who don’t offer these services. Car insurance can be complex, so Washington has various programs to help consumers deal with various car insurance issues. Recommend programs or places that can better help you. Determine the value of a claim. You can report suspect insurance fraud to the OIC by filling out their online form.